There are many different garage maintenance tasks you can implement in order to protect your floor from the wear and tear of harsh weather. One way to take preventative measures is to lay down a garage floor mat. 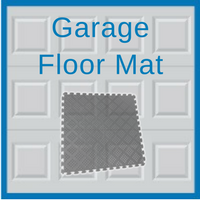 These protective mats come in a variety of styles and sizes so that you may add a mat to your garage as well. Installing a mat is done for a variety of reasons to protecting your garage from wear and tear. A few conditions a mat can guard your garage floor against are heavy duty snow, oil leaks from a car, and spills. While there are a number mat materials you can choose from, it is beneficial to understand the pros of each one before you make a purchase. Drymate fabric garage floor mat: For those of you who live in Illinois, you know that winter time usually comes with a good amount of snow. To prevent flooding caused by melted snow in your garage, apply a Drymate fabric garage mat. It has the ability to absorb liquids while providing an anti-slip surface. Ribbed garage floor mat: One major pro to this mat material is that ribs in these mats hold liquid in them if your floor is leveled. You can also mop them dry if liquid build up starts to rise. Another benefit is that the ribbed edges create a non-slip surface. Auto floor guard containment mat: This is one of the newer mats on the market. It is made of a durable PVC that is coated with Polyester Scrim fabric. This material is also used for tarps that are in the commercial trucking industry and make for a tough mat. One thing to keep in mind is that you can drive over the edges of the mat without damaging the sides and any retained water will stay in place. Polyvinyl mats: These types of garage floor mats are one of the most well known and recommended kinds of mats. You can set them into place without having to apply adhesives. Also, when you decide that you want to deep clean your garage floor, you can easily move the mats around to get underneath. These are just a few types of garage mats. However, it is important to keep all options in mind when you are trying to decide what type of protective mat you should purchase for your garage. Mats are typically designed to add an extra layer of cushion and insulation to the concrete surface of your floor. Placing a mat down may be beneficial for the safety of you and your loved ones and may also lessen the garage maintenance you have to do. 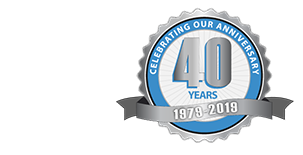 Please contact our Chicagoland area garage experts at Blue Sky Builders for more information on your garage maintenance needs. Call 630-852-8485 or visit us online today.